Shelly’s Conference. – Alice Nant. Illustrations and such. I’ve watched the film ‘Computer Chess‘ many times. Released in 2013 and directed by Andrew Bujalski, it is shot in black & white analogue. The film documents a conference held in a hotel over a weekend sometime between 1981 and 1983. The conference is to debate the potential of artificial intelligence beating a grand master at chess. 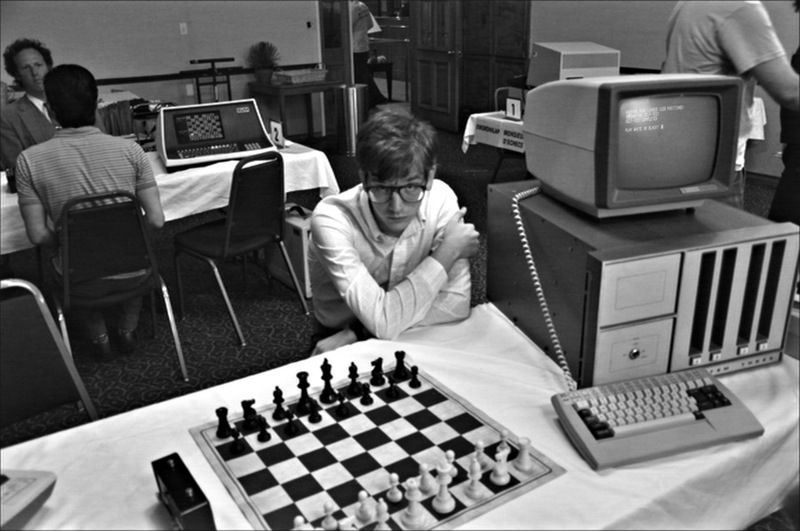 Various groups of programmers and their computers then spend the rest of the weekend in a computer chess tournament against each other. There is one female engineer, Shelly Flintic, who is the character that has the knowledge and skills to create the artificial intelligence the male engineers are so concerned with. However, her voice or viewpoint does not feature with any significance. This bothered me more with each viewing so I decided to redress the balance. Taking some inspiration from ‘Beneficial Shock‘ a magazine that aims to interpret film through illustration, I prepared to make a visual narrative or ‘comic’ of the film to tell Shelly’s story. Using stills from the film, I drew a number of images. From these images I selected those that worked together to form a narrative or sorts. I read the film script and chose sections of dialogue that seemed particularly sexist or uncomfortable. The following image illustrate this process. There were many layout ideas, this is one of the first attempts. The dialogue from the film script that was used. PreviousInvestigating colour problems with Emily Noyes Vanderpoel.